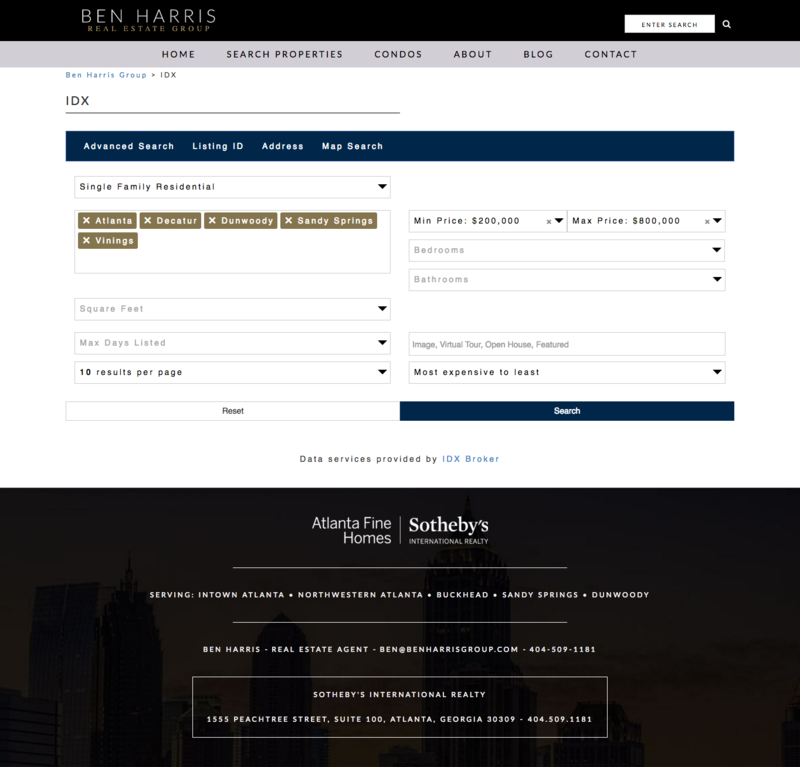 Atlanta Real Estate Expert, Ben Harris, reached out to us when he needed a new website. The site integrates with IDX/MLS data to showcase Atlanta’s beautiful homes and condos for sale. Welcome home! Properties are front and center on this visually stimulating homepage. Immediately, you see several luxurious Atlanta properties and a brief bio for the agent. Property search is integrated with MLS records via an IDX provider, allowing for seamless integration with the site. Ben specializes in high-rise condos in the greater Atlanta area. His condos website page highlights the most prominent Atlanta condos and gives a little more information about each, making it easy for home buyers to quickly find a property of interest.